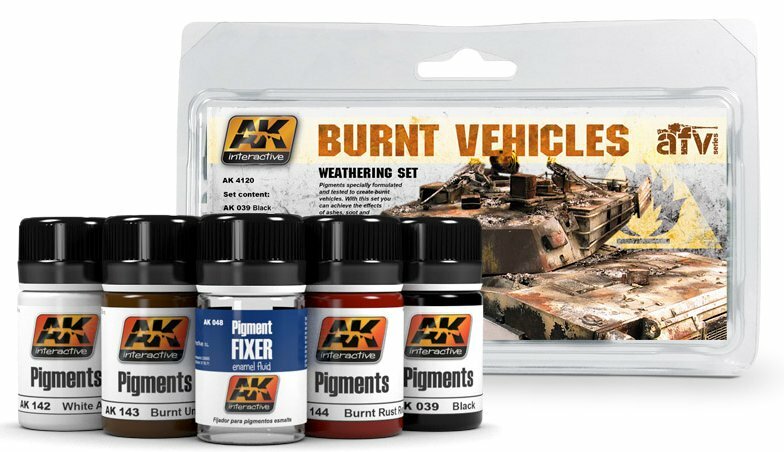 This weathering set will allow you to faithfully recreate the appearance of burnt-out vehicles. 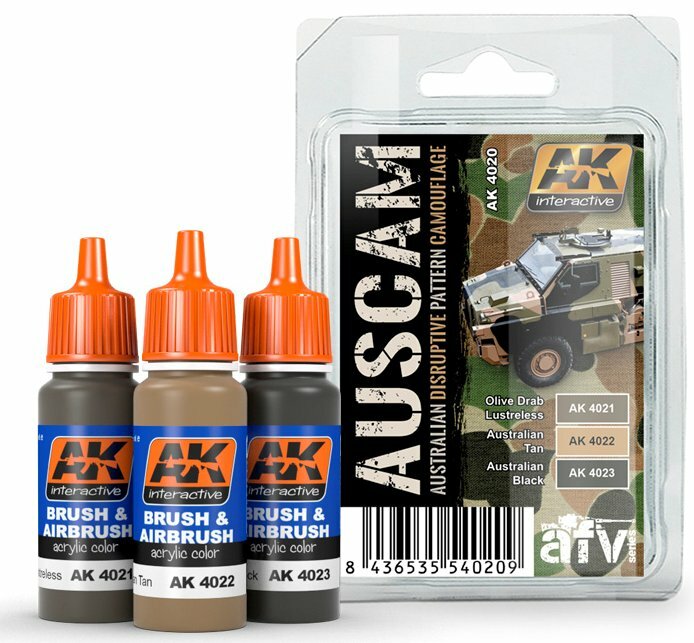 The four included pigment colours will help you to reproduce the ashes, black stains and other effects that may be observed on fi re-damaged vehicles, whilst our well-received Pigment Fixer will allow you to fi x your work in an effective way. 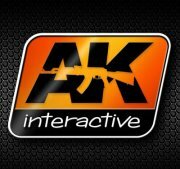 A PDF describing the process.. 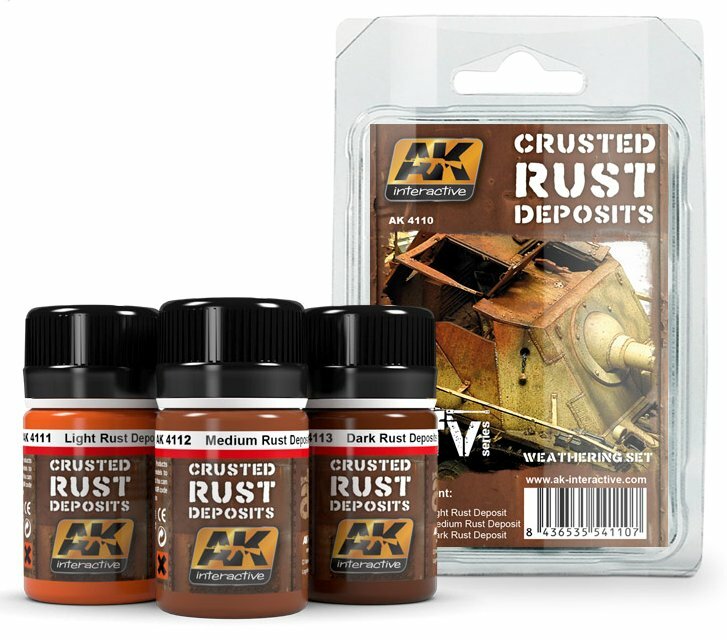 This newly designed weathering set brings a fresh formula of specialized key ingredients, giving you the most common tones and texture of accumulated rust. 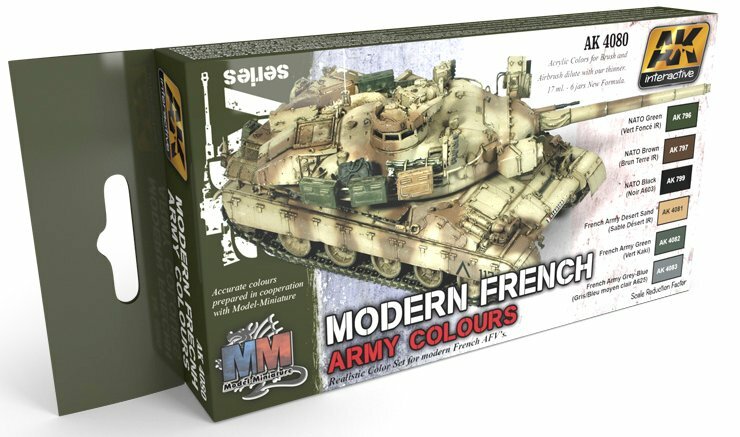 Our enamel paints can be applied straight from the bottle, directly onto the chosen areas of your model. 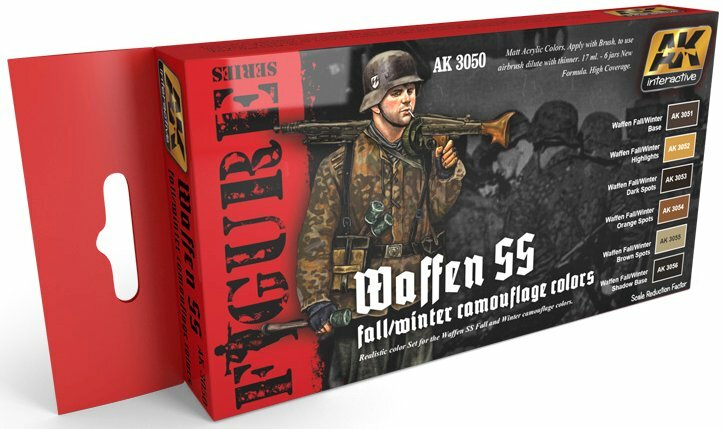 Once they are dry, they have the same scale appearance as real crusted rust.